Hezbollah leader says Iran is strongest country in the region, dismisses idea that Israel would start a war against Islamic Republic. Hezbollah leader Hassan Nasrallah vowed on Wednesday that the Lebanon-based terrorist group will stand by Iran in case of war against the United States. Nasrallah spoke in a televised speech in honor of the 40th anniversary of the Islamic Revolution and was quoted by Israel’s Channel 12 News. He said that the Islamic Republic is the strongest state in the Middle East and that the “axis of resistance” is stronger than ever, and added that the US withdrawal from the region denies it the ability to put pressure on Tehran in the form of sanctions. "The possibility that Israel will start a war against Iran has passed from the world," Nasrallah declared. "If the United States launches a war against Iran, Iran will not stand alone on the front." At the conclusion of his speech, Nasrallah offered to provide the Lebanese army with an air defense system from Iran so that it could act against Israeli air traffic over the skies of Lebanon. "Is it possible that in a sovereign state there is no air defense capability?" he said, according to Channel 12. "I have not talked to the Iranians, but there is a new government and we have to pressure it a bit. I am a friend of Iran. I am ready to bring air defense measures to the Lebanese army from Iran,” continued Nasrallah. 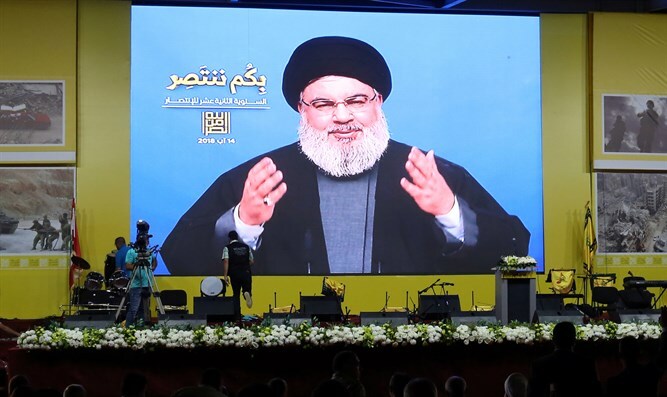 Nasrallah’s speech follows last week’s formation of a new government in Lebanon, in which Hezbollah is a major partner and received an increased number of ministries.